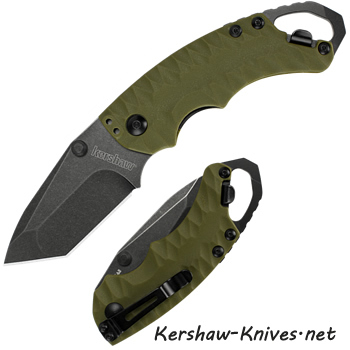 Kershaw Shuffle II Olive Black Wash Tanto Knife 8750TOLBW. 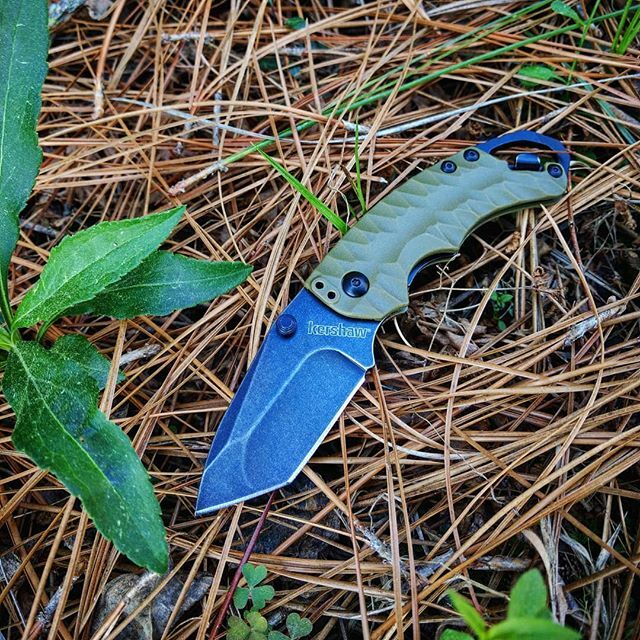 Kershaw has made the Shuffle II a little longer than the the Shuffle I for the blade and the handle. I know you will find this to be a very handy knife, along with the bottle cap opener, screw driver tip and large lanyard hole. The Olive colored textured handle, with finger grooves, will look and feel so good in your hands. The modified tanto blade is made of 8Cr13MoV- a quality stainless steel known for its ability to hold an edge, strength, and hardness. Black wash finish. Black pocket clip can be changed from left to right. Dual thumb studs to help open blade manually. Liner Lock system. 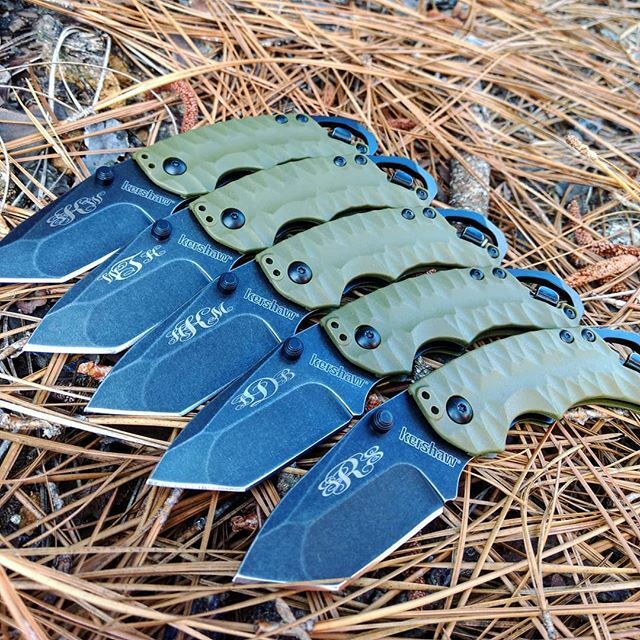 Shuffle your way to get you one of these olive beauties!